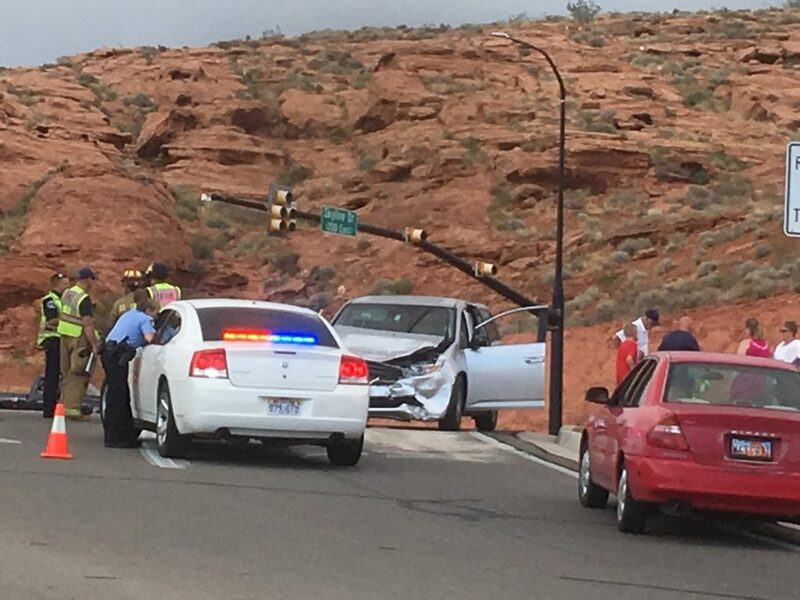 ST. GEORGE — A 4-year-old child was injured and transported to the hospital after a T-bone crash on Red Hills Parkway kept responders busy and Skyline Drive closed early Saturday evening. 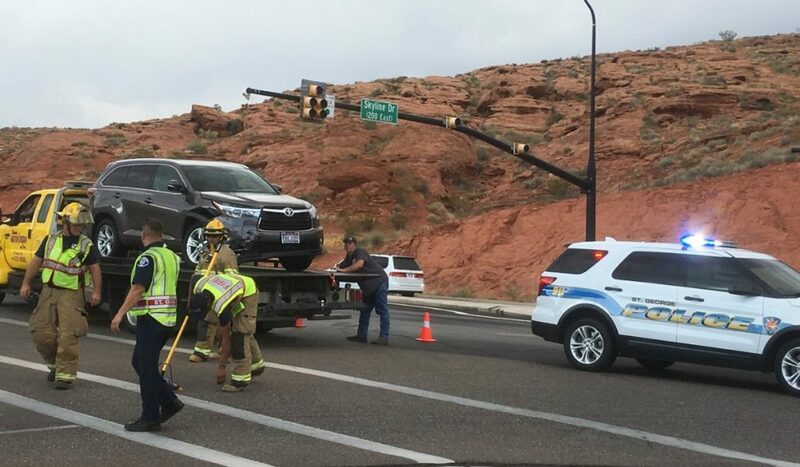 St. George Police officers and emergency personnel were dispatched a crash at the intersection of Skyline Drive and Red Hills Parkway shortly after 6 p.m. that involved a silver Honda minivan and dark gray Toyota Highlander. 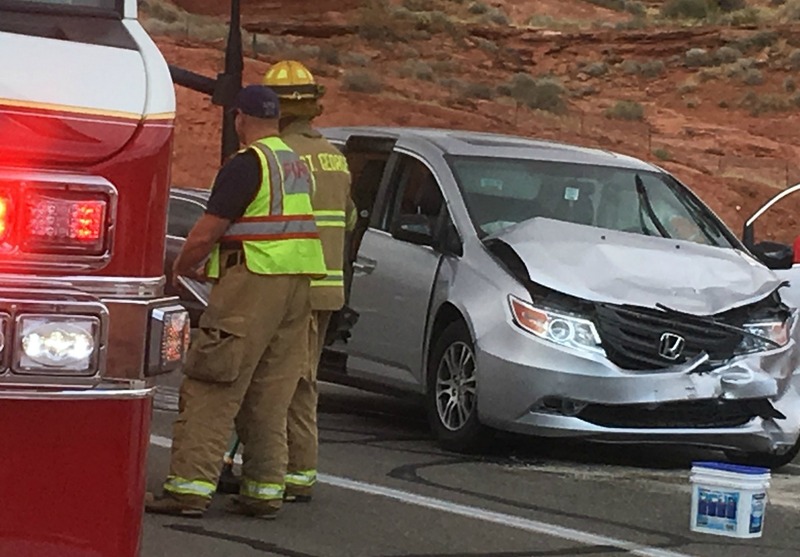 There were six occupants in the minivan, four children and two adults, and a single occupant in the Toyota. 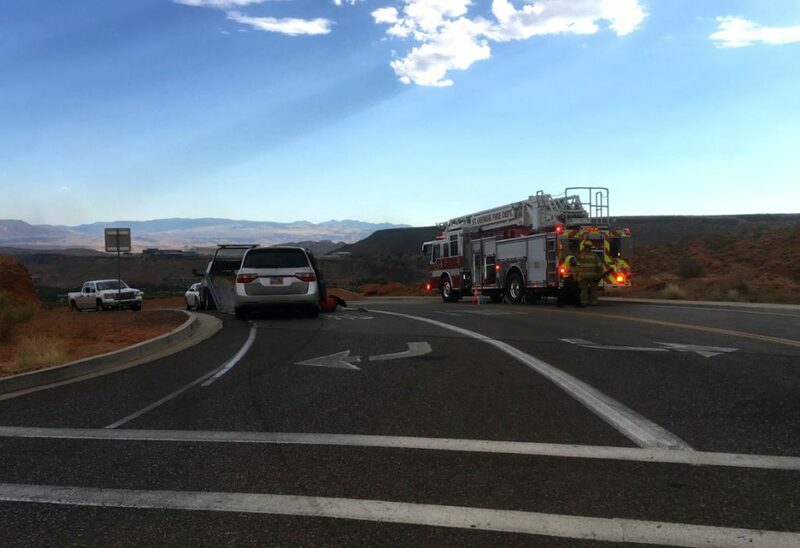 Upon arrival responders found the minivan on Skyline Drive with an injured 4-year-old child inside, while the Toyota was found on Red Hills Parkway blocking the eastbound lane. The child was transported along with his mother to Dixie Regional Medical Center for evaluation and treatment. The nature and severity of the boy’s injuries are unknown at the time this report was taken. A witness at the scene said the Toyota was heading west on Red Hills Parkway and attempted to turn left onto Skyline Drive but was struck by the eastbound minivan before the turn could be completed. The impact spun the Toyota around and sent the minivan across Skyline drive until it came to rest in the northbound lane facing south. Officers closed both travel lanes on Skyline Drive for approximately 50 minutes to tend to the injured and clear debris from the roadway. 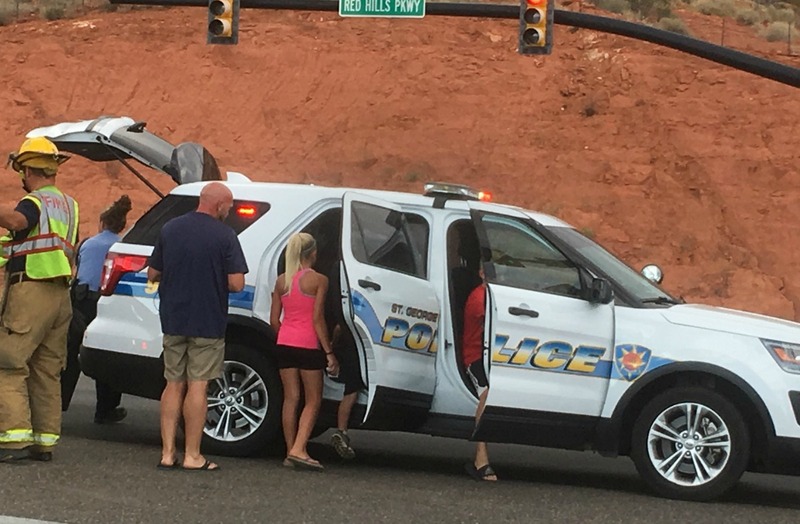 The minivan’s driver and three of his children remained at the scene after his wife and 4-year-old son were transported to the hospital, and St. George Police Officer Tiffany Atkin drove the small group to the ER to join the rest of their family. Both vehicles sustained significant damage and were towed from the scene. No other injuries were reported. Officers on scene were unable to provide an official statement on the crash at the writing of this report, which may not contain the full scope of findings.